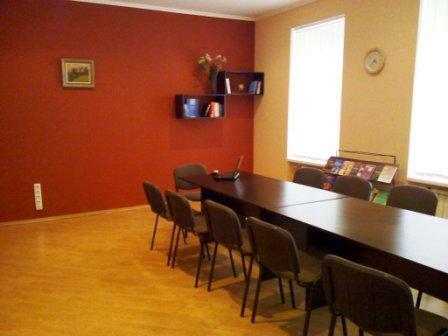 Ukraine-Europe offers you a conference hall in downtown Kyiv for lease. 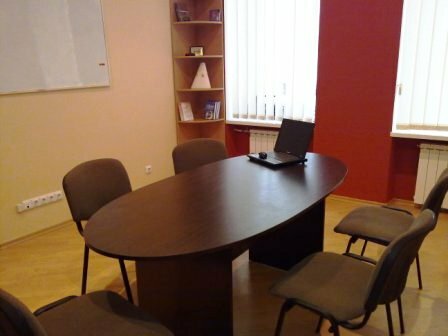 The price includes: 2 conference tables, 20 chairs, a flip chart, a CD player, and a laptop. A data projector and a screen to be paid extra by order. Coffee breaks. Catering in the office (adjacent room) is possible. Simulataneous interpretation equimpent (upon request). Consecutive and simultaneous interpretation of different subject fields; language support of contract signing.